You can travel 1,000 miles from the Valley without having to leave your chair. 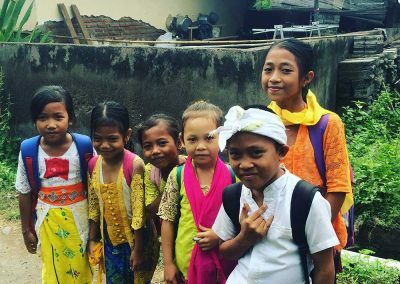 Take a trip to Indonesia, Africa, or South America; travel the deep, dark, smoky road to Sumatra; or surf the bright, citrusy waves of Costa Rica, all with a cup of coffee. Frontside Coffee Roasters, Good Vibes Coffee Roasters, and Maine Morning Micro Roasters are responsible for fueling the Mt. Washington Valley’s coffee habits. 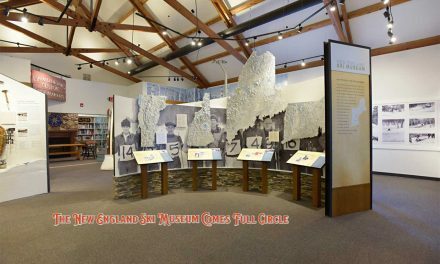 Join us as we take a closer look at all three businesses, from North Conway and Conway, New Hampshire to Denmark, Maine. Within each roast of coffee, you’ll find a unique profile that encompasses flavor, mouth-feel, brightness, body, and acidity, among other things. Each of these components depends on the point of origin each coffee cherry derives from and how that coffee cherry is roasted. There’s a lot to take in. Does your daily coffee have notes of caramel? Does it hit you with citrus? Does it taste like walnut and chocolate? Is your coffee floral and lemony? 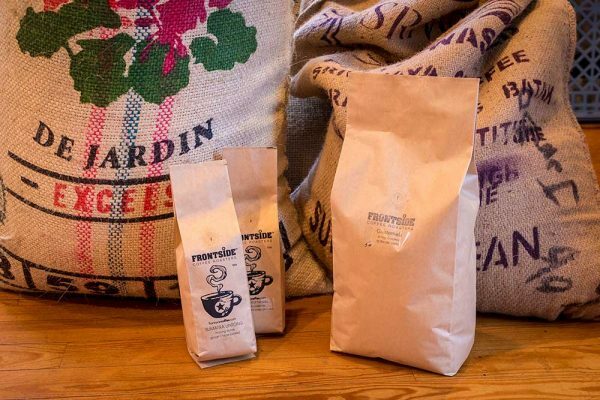 If you drink the coffee roasted by Frontside Coffee Roaster, Good Vibes Coffee, or Maine Morning Micro Roasters, this is just a medley of the flavors you will find in their roasts. Frontside Coffee Roasters, North Conway, NH is a coffee shop and café that serves and retails the coffee it roasts. Good Vibes Coffee of Conway, NH is solely a roastery that distributes to wholesale accounts throughout the New England area. And Maine Morning Micro Roasters of Denmark, Me is a small batch roastery that focuses on made-to-order coffee for retailers and individual households. Just-picked ripe coffee cherries will go directly to the wet mill that evening. Surveying the nursery in Hacienda La Minita, Costa Rica. 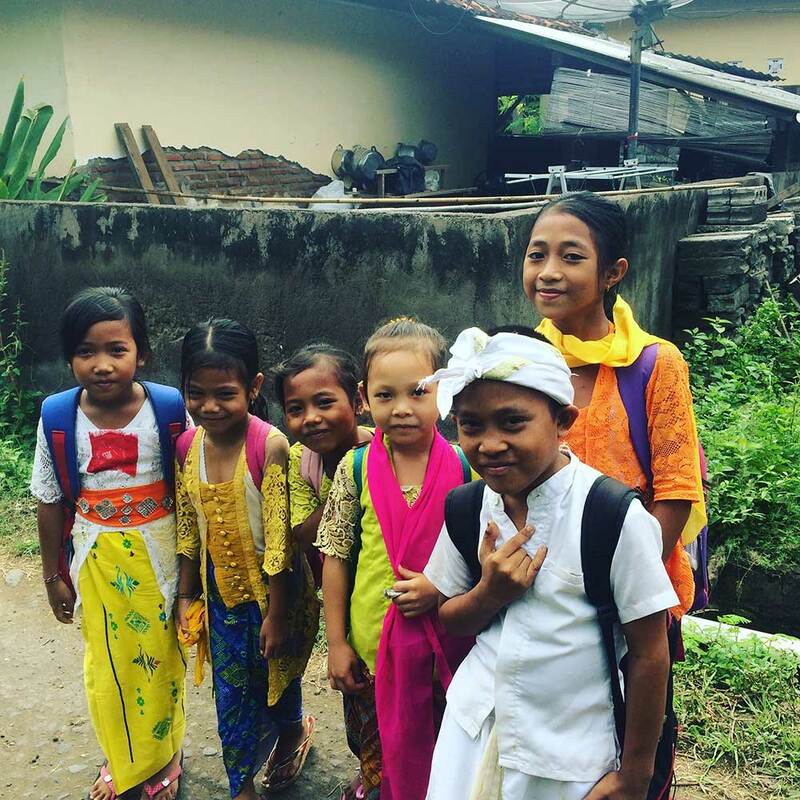 Locals from Kintamani, Bali, Indonesia. Frontside Grind owner Austin Orth makes a final check during the roasting process. 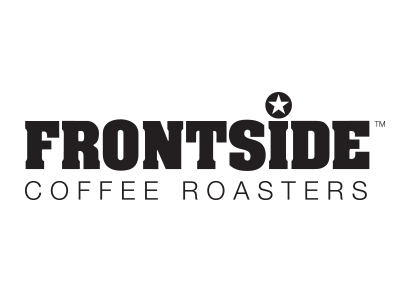 You’ll find Frontside Coffee Roasters in the heart of North Conway Village, as a place that owners Laura Denis and Austin Orth see as a gathering place—a place to get a good cup of coffee and see a friendly face. Their history with coffee spans more than 20 years: Austin and Laura have grown Frontside Coffee Roasters to its Main Street hot spot, with Laura handling the administrative side of the shop and Austin working as the head roaster. Whether Austin is roasting a light, medium, or dark roast, it all begins with the coffee beans’ time in the roaster. From there, Austin controls the temperature, time, and air flow. With a light roast, Austin will bring the heat up quickly, and as soon as the temperature rises to where he needs it to be, he immediately siphons the heat to maintain the acidity of the roast. This supports the brightness usually found in lighter roasts. For his darker roasts, the roasting is slower with a longer developmental stage. During any normal roasting time, there are stages of “cracks” where the coffee beans split. During the first and second crack, the coffee moves from an endothermic state (absorbing heat) to an exothermic state (casting off heat). Because Austin doesn’t want to lose the strong body dark roasts are known for, but wants to ensure that the beans aren’t over-roasted, he ceases the roast process at the first audible signs of the second crack. When asked about his vision for a coffee and his intention behind creating a certain blend, Austin states that he relies on single-origin blends for his drip coffees, but adds a bit more complexity to his espressos. For espresso, he uses double-origin—mixing two beans from two different places—because blending is key. “You need to bring something to the espresso that gives it ‘crema,’ body, and balance,” Austin says as he lays down the method to his madness. When asked what Frontside’s role is in the sustainability of such an in-demand commodity, Laura and Austin are adamant about always buying specialty grade coffee beans from small farms that support their employees. Buying such high-quality coffee beans means a more nuanced bean, with unique flavors such as Frontside’s newest fall addition, the “Holiday” coffee, which is born from a type of coffee called the “Super Natural.” Due to the way it is processed, the Holiday coffee produces a honey consistency with a sweeter profile. This kind of flavor profile cannot be recreated in larger batches of coffee, and is what excites Austin about the coffee industry. Laser-like acidity with a round, full body and notes of golden raisin. Medium body with heavy notes of blueberry and maple sugar. Juicy body with floral and clementine notes. Mild and nutty with subtle fruit and milk chocolate notes. Chocolatey and smooth with a hint of fruit. Perfect for espresso. Colombia Risaralda, Royal Water Process. Medium body with a softened acidity. Flavors of warm walnut and milk chocolate. Rich and full of body. Flavors of dark chocolate, dried date, and nougat. Antigua Valley, La Flor del Cafe. Lively acidity, heavy body, and notes of fine chocolate, caramel, smoky rum. A roasty, toasty and very dark coffee comprised of seasonally available South American coffees. What’s interesting is that a single coffee cherry has the potential to take on completely different flavors depending on how it’s roasted. Which is where Good Vibes Coffee Roasters comes in. Roasting a fleet of seven USDA certified organic coffee blends with 10 more additional blends to choose from, Good Vibes Coffee Roasters also works in small batches, but their flavor profiles are in a completely different direction than Frontside’s. 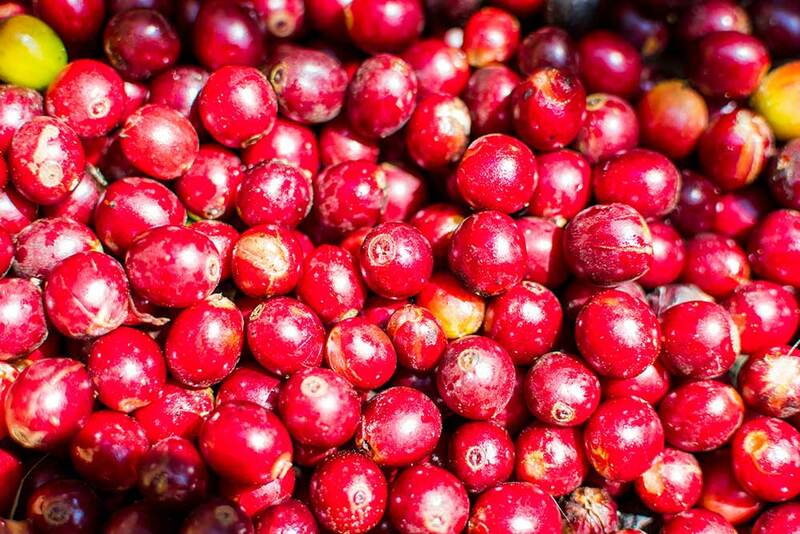 In fact, one new coffee bean that owner and head roaster Christian Ganem is excited to introduce this season is a bean from Ethiopia that features flavors of watermelon and blueberry. It will have a citrus edge—this has everything do with the way the farmers have harvested this varietal of bean. 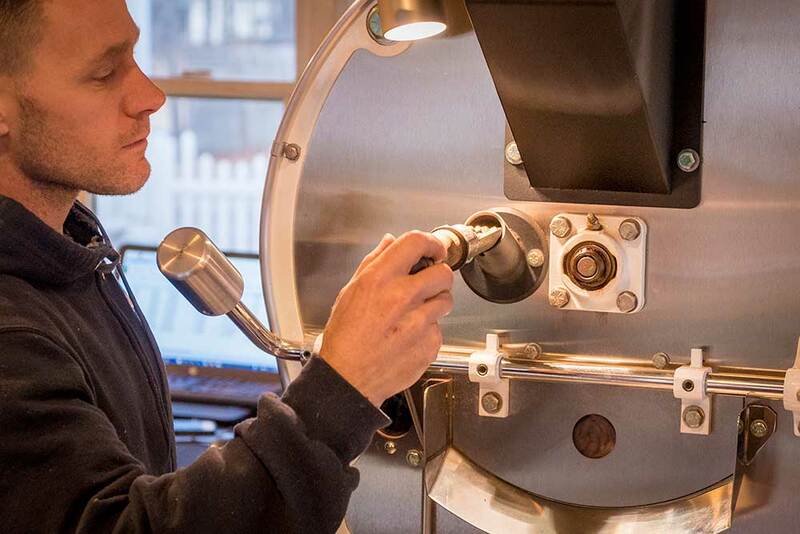 Christian has owned Good Vibes Coffee Roasters, located in East Conway, NH, for seven years. He started out as a barista and manager at a local coffee shop and fit in so well within the coffee culture of the shop he managed, the owners asked him to take part in their new venture of coffee roasting. 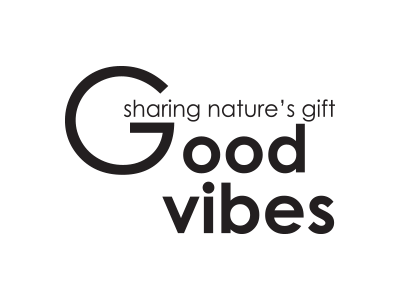 Within a few years of Good Vibe’s inception, Christian became the full owner and has grown the company steadily within that time. Christian’s most popular roast is the “Fire Keeper’s Blend,” a dark roast where he is able to strike a balance of smokiness without the coffee ending up burnt. 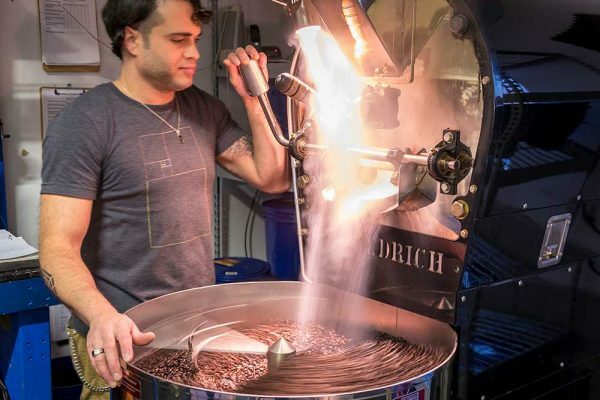 He roasts with a Diedrich roaster, a manual roasting machine that handles up to 15 pounds of coffee at a time. His focus on creating a unique roast lays in the starting temperature and ending temperature. Depending on how he heats the coffee, give or take five degrees, he has a completely new roast of coffee. While his most popular roast is the dark Fire Keeper’s Blend, his favorite roast is the medium “Community Blend,” which comes from Central and South America. Christian also remains steadfast in his commitment to sourcing specialty grade coffee. He is firm in his support of local farmers and requires that his coffee beans are sourced from coffee co-ops that treat workers fairly and pay them appropriately. 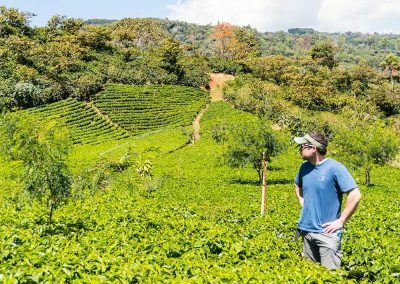 When asked about what kind of a future he sees for Good Vibes Coffee Roasters, he sees continued growth within the company and distributing to even more customers. But he also sees something bigger for Good Vibes. Something that is more than just a coffee distribution center and roastery. Christian is also a musician and an artist, performing locally throughout the Mt. Washington Valley and creating art on the used jute bags of the coffee beans he imports. It’s his vision to merge his three passions into a collective space where people can come and share their creative work. Good Vibes Coffee Roasters is on its way to becoming a hybrid of a roastery, art gallery, and recording and performing space. Part of his happiness and what makes Good Vibes so special comes from the opportunity it provides to give back to the community. Being a part of the community, providing jobs, and working with local non-profits are all a major part of his business model. The Good Vibes way is all about coming together, in coffee, in art, and in life. A medium/dark roast of South and/or Central America coffees roasted to bring a rich creamy balance of dark chocolate and citrus. A blend of Central American and Indonesian coffees that is smoky and smooth with a buttery body. This is a full-bodied, earthy coffee with hints of black pepper spice. A rich, bold decaf roasted dark and smooth. Decaffeinated without chemicals. Perfect accompaniment to an after-dinner dessert. This is taken to a Viennese or light French roast level, creating a creamy fusion of sweet, spice, and earth. This creamy coffee blends rich dark chocolate flavors with lighter cocoa and citrus notes. It is less smoky, well balanced and very smooth. Features coffees from Indonesia, Central, and South America and has a creamy fusion of sweet, spice, and earth that lingers on the palate. This new, limited edition single origin brings notes of lemon and honey with additional notes of sweet milk chocolate. And that sense of togetherness is something you’ll also find in Maine Morning Micro Roasters coffee. Run by three women, Nancy Tripp, Jen Deraspe, and Marie Deraspe, their focus is on “Awakening with Conscious Coffee.” They want their cup of coffee to stretch beyond just the household that drinks it. These women roast with specialty-grade coffee that pays a fair wage to the farmers that harvest the coffee. They also ensure an organic certification, Rainforest Alliance Certification, and Fair Trade Certification on the beans they import, whenever possible. 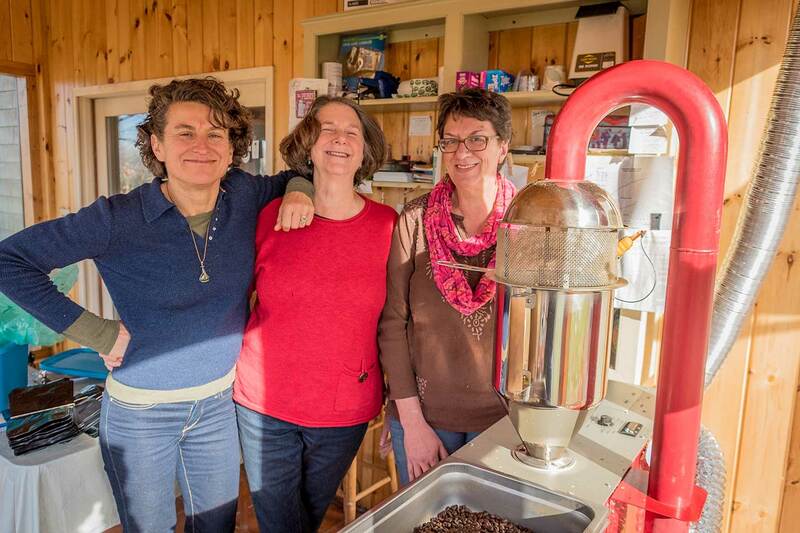 If their beans are not certified, Maine Morning Micro Roasters goes the extra mile to confirm that the growing practices are organic and the beans are grown with social responsibly to the farmers and their families based on working and living conditions, health care, and education. They use mostly single-origin beans, coming mainly from Bolivia. They have an affinity for Bolivian beans because they have such a different taste profile. They are typically a smooth bean—with notes of chocolate on the front of your tongue and an explosion of acidity of orange peel or tangerine on the back of your tongue. 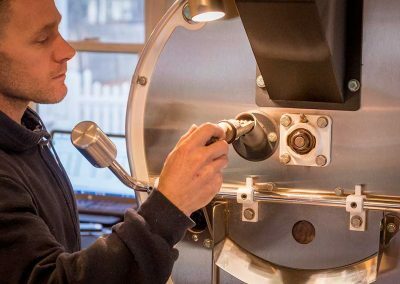 The majority of Maine Morning Micro Roasters coffee is in the medium roast family, because they believe roasting at that level maintains the distinct flavor of each bean. This isn’t to say they don’t have dark roast options—because they do, and are currently roasting 11 roasts. You can experience each roast by becoming a “Coffee of the Month” member. You’re given options for receiving two, three, or four bags monthly. Each month, you’ll receive a new roast to try and can denote your favorite roasts throughout the year. 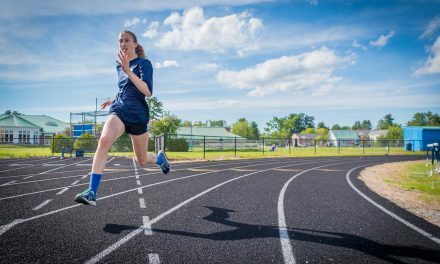 You also have the option to order coffee online or through their retail accounts in the Lakes Region of Maine and the Mt. Washington Valley. Each batch of coffee is custom roasted in 10 pound batches for customers and wholesale accounts in the Maine and New Hampshire region. During the summer months, they can be found roasting daily; and in the winter, three to four times per week. It’s their priority to roast the freshest cup of coffee and try as hard as they can to roast each customer’s coffee as it’s ordered. Fruity, mandarin, carmel flan. Mild acidity with hints of green apple. Medium body with notes of sweet tobacco, chocolate, and caramel. Orange and honey with hints of cherry. Sweet acidity, citrus and pleasant fruity notes, strawberry and plum, solid body, balanced, chocolate, complex, clean, and nice aftertaste. Smooth, nutty, spicy finish. Well balanced with good body. Notes of dark chocolate with a hint of cherry and graham cracker. Vanilla shortcake, milk chocolate, lemon balm. Vibrant citric acidity. Brown sugar, almond, papaya, baked bread with intense orange (citric) acidity. Well balanced, clean and sweet. Full bodied, sweet, long finish; bright, sweet flavors of orange citrus, caramelized sugar and fine chocolate. Notes of milk chocolate and lemon. Full and smooth, bright acidity with hints of chocolate, caramel, honey with bright citrus and plum notes. 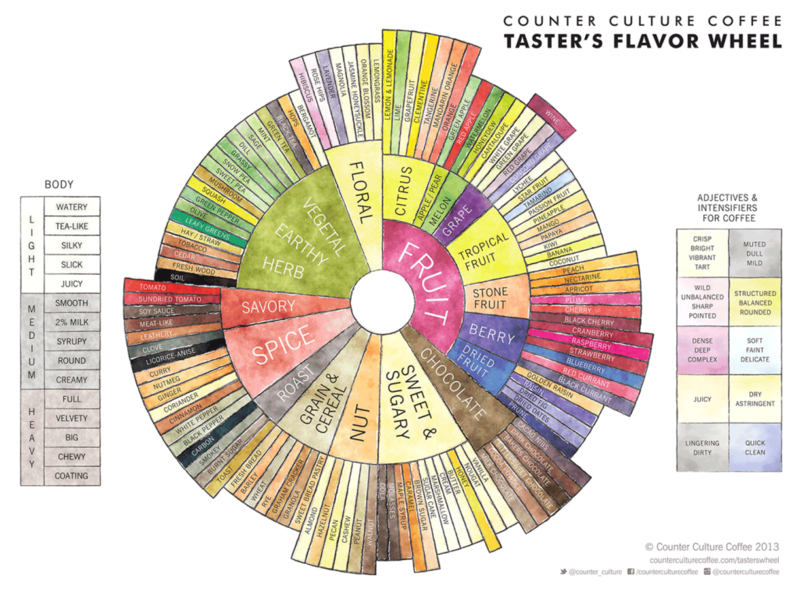 Since then, Counter Culture Coffee Roasters has released its own version of the Coffee Taster’s flavor wheel. The creation is the work of Timothy Hill, Counter Culture’s coffee buyer and quality manager, who says the goal was to create an easy-to-understand flavor guide. So how does the Counter Culture wheel above differ from the classic SCAA one? 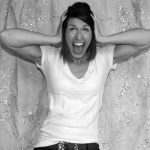 There are more terms, more than doubling the available words and almost exclusively using specific foods for reference points. The Counter Culture wheel delves into specificity in certain places and are more prominent allowing more freedom for roasters and consumers to find those flavors that should be identified in that coffee. The Counter Culture wheel also offers a few diagrams to further the conversation about taste. Above to the left is a body chart that describes the characteristics that contribute to light, medium, or heavy body in a coffee. On the right are a wheel detailing coffee defects and a chart for coffee adjectives and intensifiers, with colors that correspond to terms in the two wheels. For more information and to see the SCAA version of the Flavor Wheel, visit www.scaa.org. Coffee certifications and labels tell consumers about the farming practices used to produce a certain coffee. 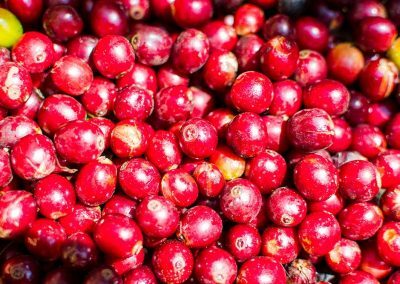 While certification exists to support both producers and the environment, the steps required for inspection and verification can be cost prohibitive. Many producers farm under these practices, though their coffee does not bear any additional certification labeling. Fair Trade Certified™ seal means the product was made according to rigorous social, environmental, and economic standards. Certifiers work closely with producers and certify transactions between companies and their suppliers to ensure that the people making Fair Trade Certified goods work in safe conditions, protect the environment, build sustainable livelihoods, and earn additional money to empower and uplift their communities. 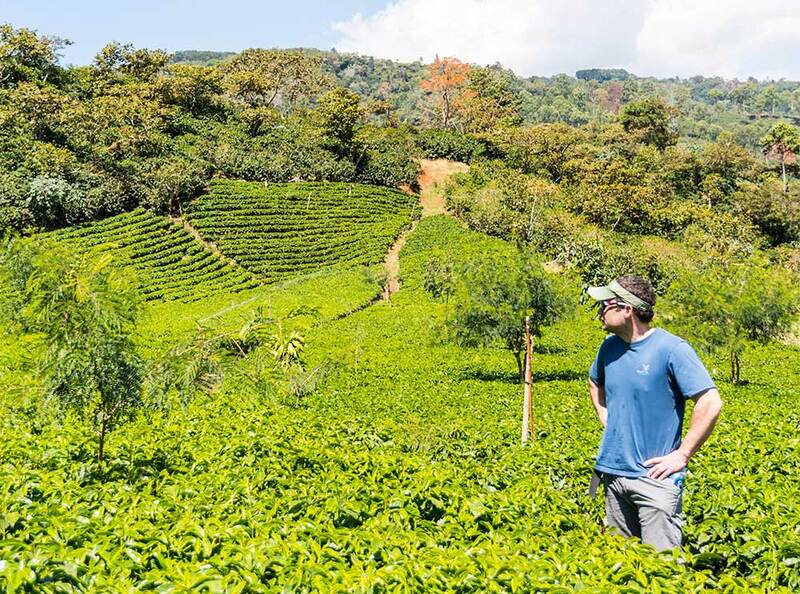 Farms must meet criteria of the Rainforest Alliance Sustainable Agriculture Standard, encompassing three pillars of sustainability—social, economic, and environmental. 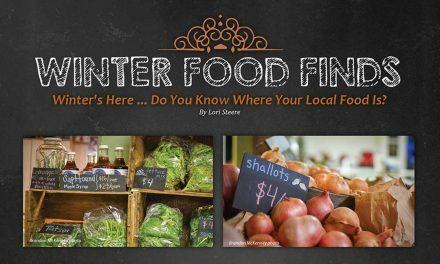 Farms are audited regularly to verify that farmers are complying with the standard’s comprehensive requirements. Coffee sold as certified organic in the U.S. must be produced under U.S. standards established by the USDA’s National Organic Program. Requirements for this seal include no use of prohibited substances on the land for at least three years. This includes most synthetic pesticides, herbicides, and fertilizers. Other certification requirements include a buffer between the coffee and any other crop not grown organically. 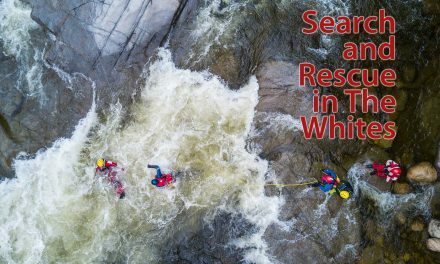 Whether fully certified or not, rest assured that our three Mt. Washington Valley roasters actively maintain relationships with their producer partners and are happy to provide more information about the agricultural practices associated with their offerings. While each of these roasters occupy a different niche in the Valley, a collective force can be felt from each business. By choosing to support local coffee shops and roasteries, we have access to flavor profiles that would otherwise elude us. I can appreciate the effort that went into picking each bean. I support a farmer and a small business owner with my purchase. And I can respect the artistry that went into roasting my favorite batch of coffee. I also gain a wider scope of the world with each roast I experience, and with just a cup of coffee, I can travel around the world and back. If I taste something with a hint of lemon, perhaps my coffee came from Ethiopia. If I taste walnut or almond, it’s likely my coffee came from Brazil. If my coffee is dark and smoky, then it’s sure to be from Indonesia. And this can all be experienced from a seat in the Mt. Washington Valley.